3rd Congress of World Azerbaijanis held in Baku on July 5 and 6, 2011. Approximately 1300 international delegates from state and government organizations, non-governmental organizations, cultural, educational and other creative institutions and political parties and guests with an affiliation with the Azerbaijan Diaspora attended the 3rd Congress of World Azerbaijanis held in Baku on July 5 and 6, 2011. Azerbaijani president Ilham Aliyev who also participated in the congress gave an opening speech during which he mentioned the plans for Azerbaijan to open Cultural Centres worldwide. 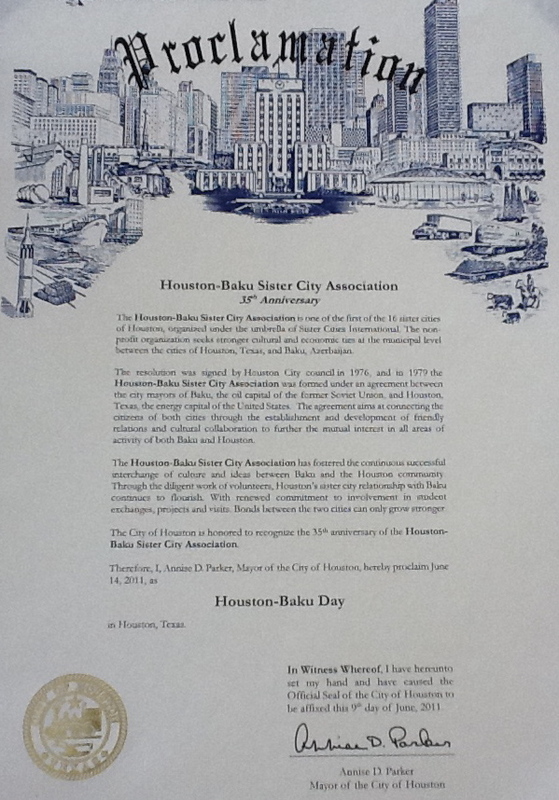 Several members of Houston-Baku Sister City Association attended the congress which also provided a valuable opportunity to establish connections with representatives of other international organizations with an affiliation to Baku and Azerbaijan as well as meetings with the local media in which HBSCA’s mission and news about activities could be promoted to the Azerbaijani public. On May 21, 2011, a newly commissioned chamber opera “Your Name Means the Sea” with music and libretto by famous Azerbaijani composer Franghiz Alizadeh premiered at the Cullen Theater in the Wortham Center. This production by the Houston Grand Opera was developed in close collaboration with the Houston-Baku Sister City Association. 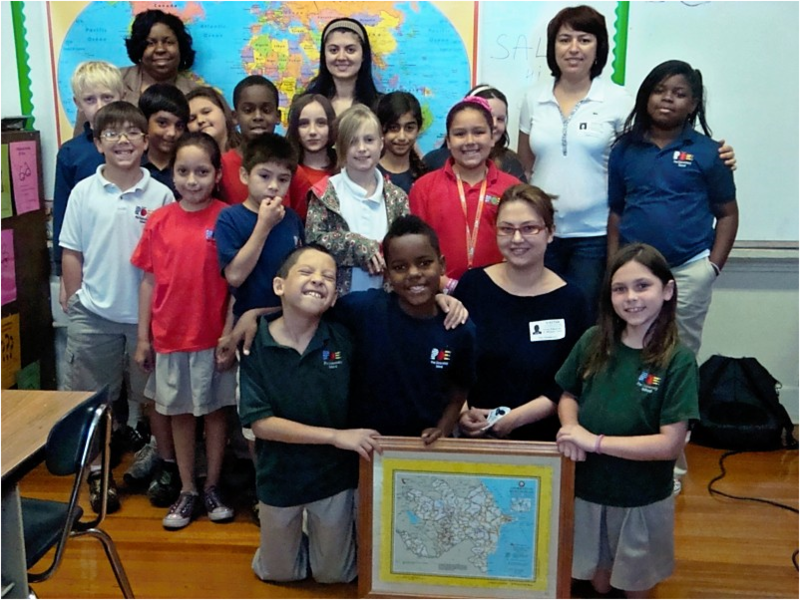 In preparation for the opening ceremony of the Houston 2011 Ifest, HBSCA adopted a class at Poe’s Elementary School in Houston to represent Baku in the 18th annual Sister Cities of Houston Children’s International parade. HBSCA volunteers visited the kids in their class room to give a presentation about Baku and Azerbaijan and teach the children a few words of Azeri language which was received with great enthusiasm by the kids and their teacher Ms. Donna Williams. The school children and their teacher also represented HBSCA at the official opening ceremony of the 2011 IFest by Mayor Annise Parker. Check out the exciting Novruz Spring Festival in Azerbaijan.